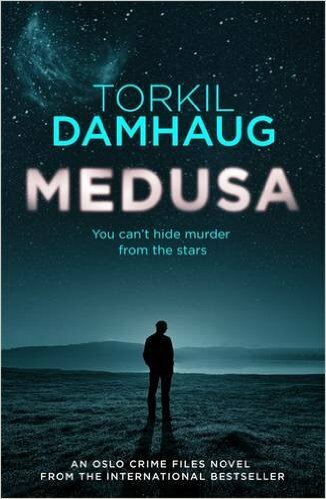 Medusa, the first of four books by Torkil Damhaug, had an intriguing and compelling start to me and I found the writing very atmospheric. The central character, Axel, is a medical doctor who is a twin. However it is a long time since anyone has seen his twin brother and it is clear very early on that there is a story to be revealed. I did find many of the characters interesting and well fleshed out and I felt that the translator had done a very good job in this book. The “action” in the first half or so of the book I found convincing and compelling. Axel, a happily married man, is bewitched by girl considerably younger than him. He tells stories of Castor & Pollux and Medusa to his young daughter. There is a darkness which I found effective. I found the latter part of the novel a little different. There was no way I was going to put it down as I neared the end – the pace remained good and well controlled. However it is one of those police stories where the police are maybe not as competent as they might be. Equally the police characters I found less convincing than most of the others in this book. I would add a warning that parts of this are fairly gory in all honesty. The overall plot idea changes direction part way through which didn’t really work well for me sadly. I enjoyed reading this and would certainly read another by this author but I remained unconvinced by this – 3.5/5 maybe.